EchoWorx offer an Cloud, hybrid, or on-premise email encryption platform. 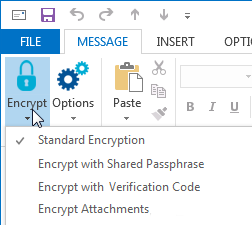 Enterprise companies looking for email encryption with multiple advanced encryption options. SMBs looking for basic, low cost email encryption. What is EchoWorx OneWorld Encryption? EchoWorx are a pure play email encryption service. They prioritise security, and ease of use for end users. They offer six different encryption delivery methods to ensure that they meet all the needs of your organisation. This includes Secure PDF, in which emails are sent as a secure PDF file which recipients need permission to open, Web portals, in which users need to log in to an online site to read emails and S/MIME end to end encryption which requires certificates from both parties. All outgoing and inbound emails are automatically encrypted based on rules you create, to ensure that no sensitive email is sent unencrypted. EchoWorx offer comprehensive encryption which provides configurable, customised features for organisations. Their best feature is the variety of encryption methods which they provide. They offer six different types of encryption, which allows organisations to use the security methods they need. Secure web portal encryption is ideal for dealing with clients for example, allowing recipients to easily access encrypted emails and respond. For sensitive internal encryption, S/MIME is great for end to end encryption. EchoWorx allows organisations to set policies which decide which type of encryption will be used, which will greatly increase security without compromising ease of use. The service is on the expensive side however and does not offer the same user controls some competitors do in terms of restricting forwarding. The high cost of this platform means that it is more suited to enterprise-sized customers than small or medium businesses. 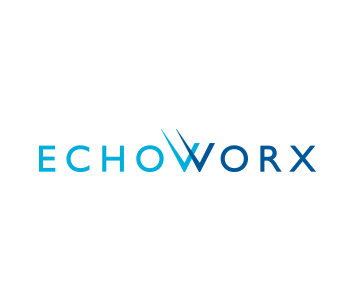 If you are an enterprise sized customer looking for hybrid email security with inbound encryption and large file encryption as well as a range of other encryption methods available, EchoWorx is a solution to consider.